Mile Six (point two) Dedication: The “You’re Crazy” People | Are You the Gatekeeper? Admittedly, Pinterest-type posters like these are relatively cheesy, however, there’s something about it that rings true. Maybe it’s rather masochistic, but hearing “You’re crazy” is one of those things that makes me feel even more like a badass. 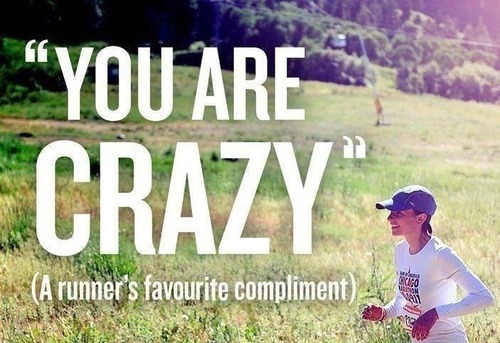 It might have something to do with the fact that those who tell runners they’re crazy are people who couldn’t imagine doing something like that themselves. Which means I, as a runner, am accomplishing something out of their realm of possibility. That’s kind of cool. Especially given that at one point I WAS one of those “you’re crazy” people. Look how far I’ve come! So yes, please keep telling me I’m crazy. I’ll keep thanking you and running anyway.